Dr Reuel Khoza has been appointed chairperson of sub-Saharan Africa’s the leading independent power producer, Globeleq. 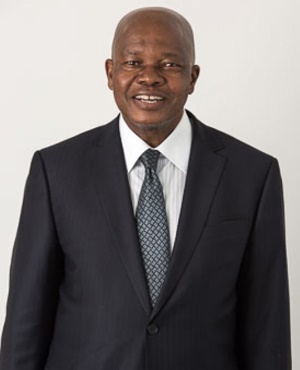 Cape Town – Former Eskom chairperson Dr Reuel Khoza has been appointed chairperson of sub-Saharan Africa’s leading independent power producer, Globeleq. Khoza, who is the chairperson of Aka Capital, an investment holding and private equity company, was also the former chairperson of the Nedbank Group, Glaxo SmithKline SA and Corobrik and is a director at Nampak and Sasol Oil. He was at Eskom from 1997 to 2005. The business leadership and corporate governance expert was appointed along with other leaders in the industry, as Globeleq enters its next phase of development. "Africa's industrial development is dependent on the availability of electricity,” Khoza said in a statement on Monday. “One cannot speak of mining, commercial agriculture and food security, ICT, or even health and education without energy,” he said. “Electricity is, in very significant ways, a sine qua non for Africa's socio-economic development." CDC Group, the UK’s development finance institution, and Norfund, the Norwegian Investment Fund for Developing Countries, who are now the sole shareholders of Globeleq with 70% and 30% holdings, want the company to boost power generation to Africa by adding at least 5 000 megawatts (MW) of generating capacity over the next 10 years, it said in a statement. “This electricity will enable the creation of over 1.5 million new formal and informal jobs across Africa,” it explained.